Brian H. Zins, GySgt USMC Ret. 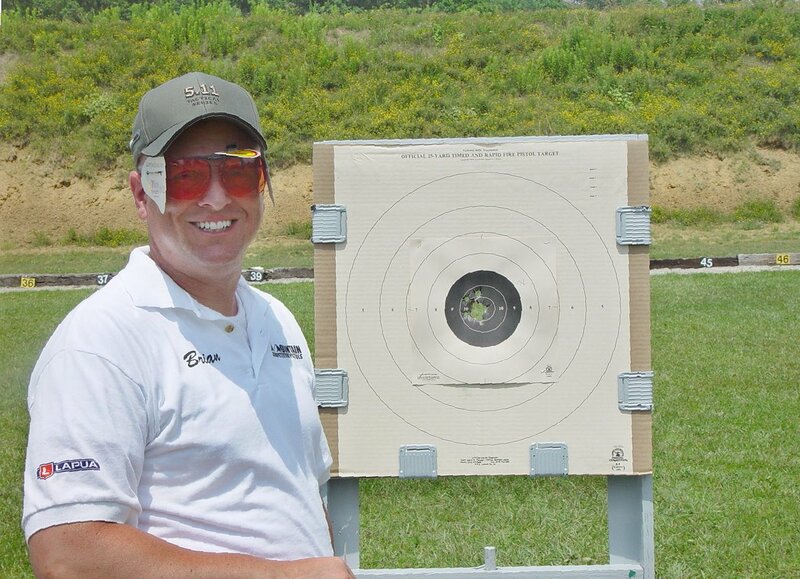 Undoubtedly the most accomplished competitor in NRA Precision Pistol Competiton, Former Marine Gunnery Sergeant Brian H. Zins retired from active duty in the Marine Corps in May of 2008. It was discovered early in his Marine Corps career he had uncanny skill with the service pistol when going through Military Police Training at Lackland Air Force Base, San Antonio, Texas in 1988. Sgt. Gunther, Military Police School Pistol Instructor, trained Zins and discovered he possessed a unique skill. Later that year when sent to re-qualify on the rifle range at Camp Pendleton he caught the eye of his Primary Marksmanship Instructor from Headquarters and Service Battalion, 2nd FSSG, LCpl Matt Briggs. Briggs asked if he would be interested in competing in the Western Division Matches; not really aware there was such a thing, he agreed. In 1989 he competed in his first Division Match. He fell short of placing in the pistol medal bracket by two places. This created a hunger in him that proved to be valuable when he returned the following year to take a bronze medal at the Western Division Matches and silver medal at the Marine Corps Championships at Camp Lejeune, NC.